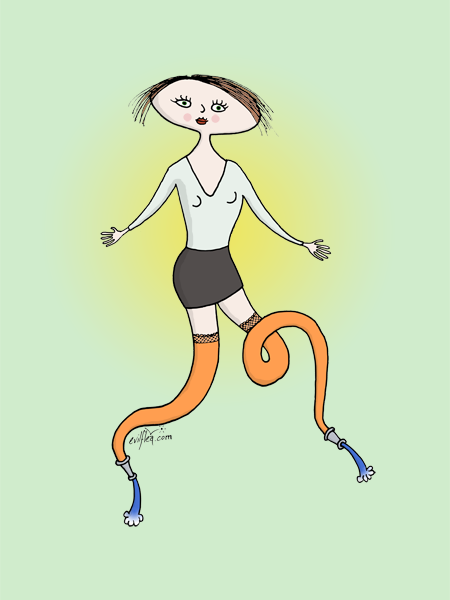 evilflea: New Greetings Card, T-Shirt, etc: "Hosiery"
A new silly doodle. When I thought of this idea initially, the brilliant Marc Johns came to mind, so its style is a little influenced by his. You can buy 'Hosiery' greetings cards, prints, mugs, t-shirts etc on both my Redbubble and Spreadshirt shops.